A visit to Machu Picchu has been on my wish list for more than 15 years. To be precise, when I read Tinin – Prisoners of the Sun for the first time, I was a school kid back then, I’d dremt back then to see the Incas, Temple of the Sun, and the Llamas of South America. It all started when I came across Machu Pichhu travel deal by Gate1 travels on livingsocial.com. Iknew it was a risk to book a trip to Machu Picchu in March (the rainy season), but I booked it anyway. Our first few days in Peru was around the Andes, Urubamba and Cuzco. 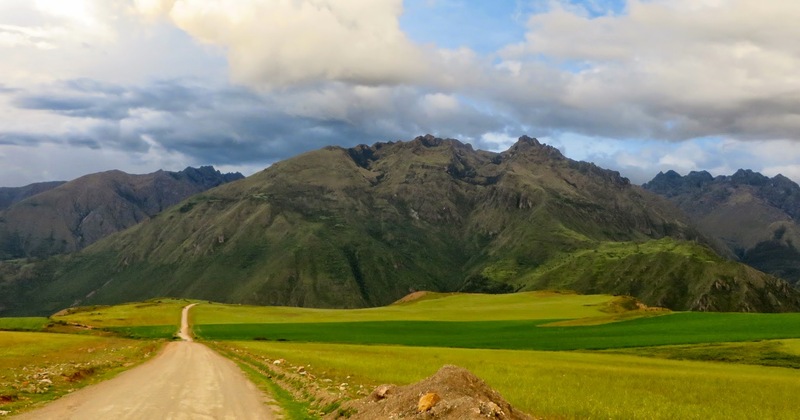 There’s much more to Peru than its ancient Inca artifacts. 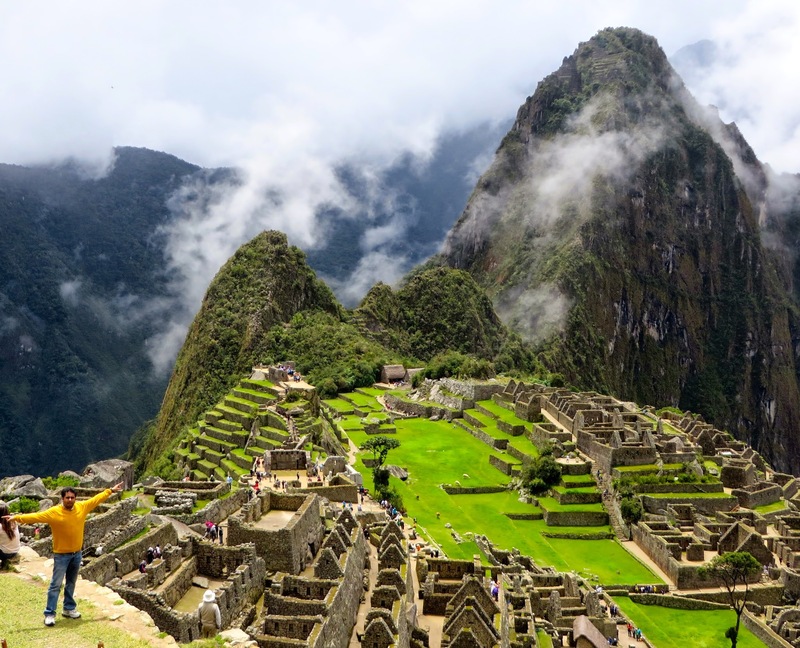 From the soaring peaks of the Andes and the lush Amazon Rainforests and Spanish colonial cathedrals, Peru has it all, the allure of the ancient and mysteries. On the big day, we travelled in the luxurious Inca rail till Machu Pichuu. When we reached Machu Picchu it was drizzling and very cloudy in the morning. 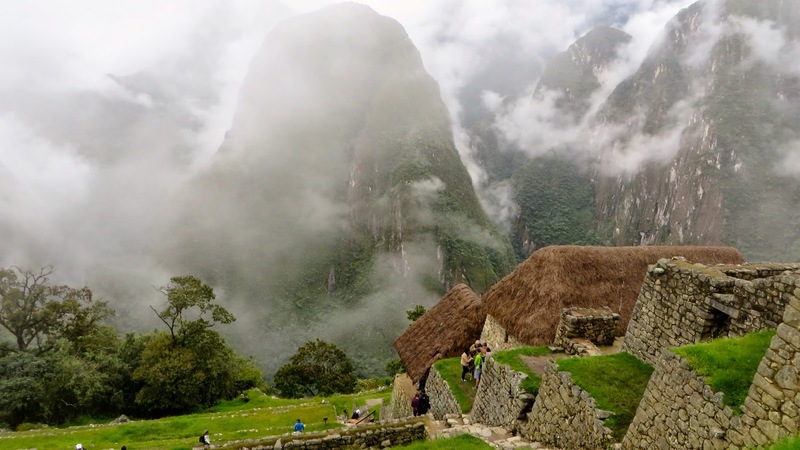 But the mist on the mountains added drama and mystery to the Inca site. We were lucky enough that the longer we stayed the more the sky started to clear up! And eventually WOW what a view!!! Totally awestruck to stand at the top looking over the ruins and the Andes Mountains. This site certainly is worthy of being one of the seven wonders of the world!!! The magnitude of the accomplishments of the Inca people is simply overwhelming. 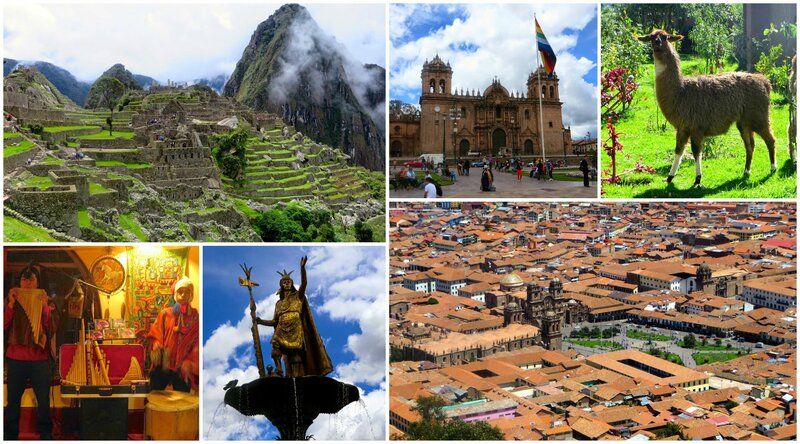 Below are a few scenes from Cusco, the historic capital of the Inca Empire in southeastern Peru. Standing at an elevation of about 11,000 feet in the Andes, this is an amazing travel destination as well. I’d been looking forward to go on a vacation to Machu Picchu since a long time. Ever since I booked my tickets, I’d looked over many articles on Machu Pichu, Inca and other stuff, but overlooked gathering enough information on Peru tourist visa. I ended up sprinting in the last minute to get my Peru Visa. I reached NYC Peru consulate at 10 am with all my documents. The consulate was almost empty. I submitted the documents at the counter. After a couple of minutes, to my surprise they declined to process my visa. They gave me a letter which said, NYC Peru consulate would process visa only if you are a resident of NY state. Since my residential address was in Pennsylvania, I had to go to New Jersy Paterson consulate to get my visa processed. I immediately travelled to NJ, and reached the consulate around 1PM. Eventhough the consulate was open will 1:30, they did not process my visa that day. They said it was just too late. I ended up applying leave the next day to get my Visa done, and had to drive all the way to New Jersy from my home in PA.
Every consulate has it’s own jurisdiction for processing visa (http://imgur.com/fTNxacX) Peru consulates have a list which says, if you reside in a certain state, they’l process your visa only at certain consulate locations. IMPORTANT– For Permanent address, give your US residence address. This is to certify that LastName, FirstName with Emp #EmpID is employed with CompanyName on a full time basis since 12/18/2006. He is deputed to USA effective 06/23/2014, designated as YourProfession in US Work Address. His approximate gross salary is $Salary per year. LastName, FirstName is currently residing in the following address as per our records: US Residential Address. This authorized certificate is being issued for the purpose of approving the vacation plans from 03/16/2015 to 03/24/2015.